Hear the latest information on melanoma treatments, surgery and strategies for looking after yourself at this forum hosted by Melanoma Patients Australia. Expert speakers include Professor Grant McArthur, consultant surgeon Mr David Gyorki and Dr Maria Ftanou from Peter Mac. ​Professor Grant McArthur (pictured above) has an international and national reputation as a leader in the medical oncology treatment of melanoma, as demonstrated by the many regular invitations to present at forums of his medical oncology colleagues. He manages a large multi-faceted basic research and clinical program, and has excellent administrative abilities. 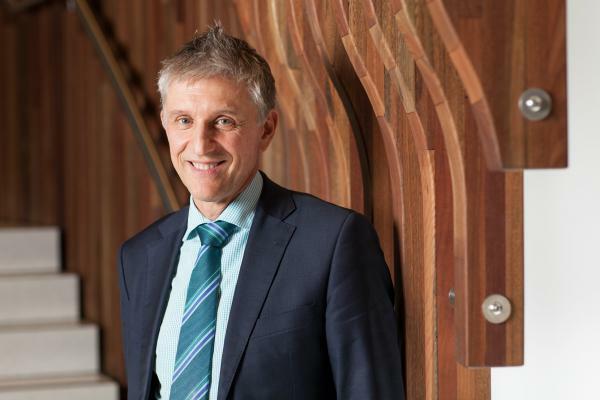 He is the Head of the Molecular Oncology Laboratory, holds the Lorenzo Galli Chair in Melanoma and Skin Cancers at the University of Melbourne and he is currently the Executive Director for the Victorian Comprehensive Cancer Centre. Mr David Gyorki is a consultant surgeon at Peter Mac specialising in surgical oncology with clinical expertise in the management of patients with melanoma, breast cancer and soft tissue sarcoma. In 2012, Mr Gyorki completed a clinical fellowship in Surgical Oncology at Memorial Sloan Kettering Cancer Center. During this time, he developed an interest in melanoma immunology and is currently investigating tumour infiltrating lymphocytes within melanoma metastases. Mr Gyorki was recently awarded the Herman Fellowship in Clinical Cancer Research at The University of Melbourne. Dr Maria Ftanou is the head of the Clinical Psychology Department at Peter Mac and a Research Fellow at the School of Population and Global Health at The University of Melbourne. Maria has over 17 years of clinical experience, in the field of psychosocial oncology working with people with cancer and their families. Maria and her team provide evidence-based psychological interventions to people with cancer and their families across the cancer trajectory. Maria has been the recipient of multiple competitive grants and published in national and international peer review journals. Maria’s talk will focus the impact of Fear of Cancer recurrence and progression. Tickets cost $10.50, which includes a light supper.